Answered here within this blog, we provide detailed descriptions about some of our solar window screen installations, customer reviews and feedback, and we discuss questions that people have asked with regards to our solar screens and our Austin TX solar screen installation services. 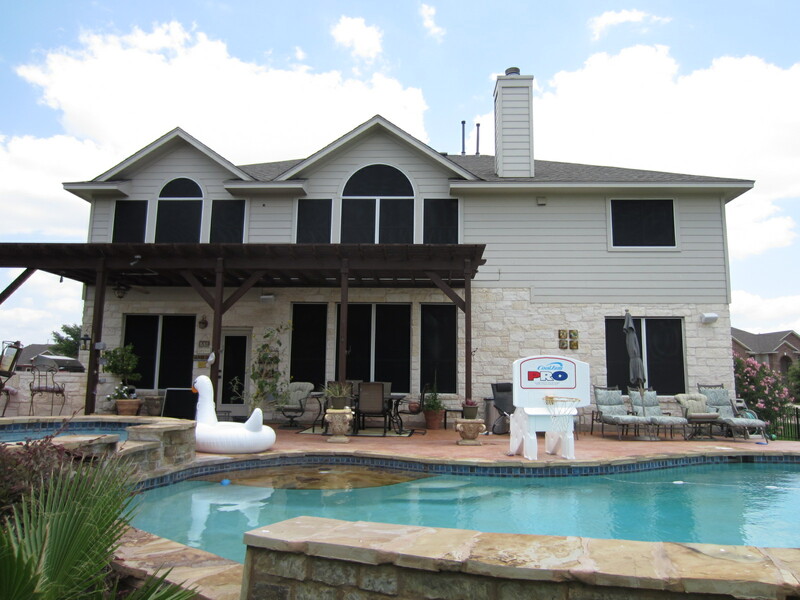 This is a 19 solar window screen installation that we did in Pflugerville, Texas. We used the black solar screens with white frame, and we used a 90 percent fabric. did not put solar screens on any other sides of his home. This entry was posted in Austin Solar Screen Installation Examples and tagged Pflugerville Texas, solar window screen on April 1, 2014 by admin. Do some colors of the shade screens work better than other colors? Are Heat Shade Screens the same as Solar Window Screens ? What are Window Shade Screens ? Can I try solar screens today and get more later ?